Slugs and snails present a serious threat to dogs through the potentially fatal lungworm. Find out how to spot the symptoms and what to do if you suspect your dog is infected. The lungworm, also known as French heartworm, is a parasite carried by slugs and snails that infects dogs and can prove deadly. Dogs can become infected by eating slugs and snails or from a slime trail on grass or a chew toy, or when drinking from puddles and outdoor water bowls that slugs and snails might have been crawling on. The lungworm larvae then grow inside the dog and adult lungworms move through their body to live in their heart and blood vessels. After about three to four weeks, the worms start to produce their own larvae which can lead to serious problems including haemorrhages in the lungs, liver, intestine, eyes and spinal cord. Younger dogs are particularly susceptible although lungworm can affect any dog and left untreated, can prove fatal. Coughing, difficulty breathing, breathing quickly or struggling during exercise. Paralysis, fits, loss of co-ordination, obvious pain around the spine. Unusual bleeding, scratches and minor injuries bleeding more than normal. If you think your dog might have picked up a lungworm infection, speak to your vet as soon as possible as early action is vital for successful treatment which is widely available and easily administered. Once diagnosed and treated, most dogs make a full recovery. Vets can prescribe a specific solution that's applied to the back of the neck but it’s important to note that lungworm is not prevented or treated by the conventional use of regular worming tablets. 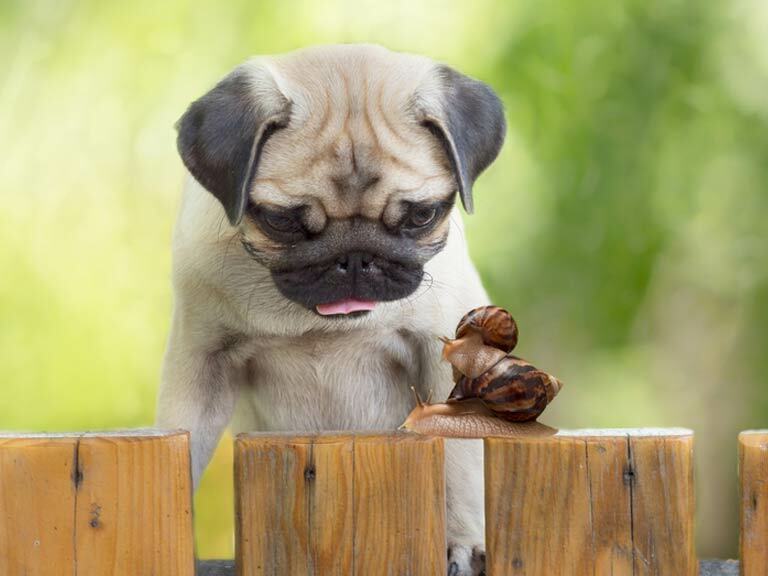 If your dog eats slugs or snails, or is otherwise exposed to risk but not showing any symptoms, it's worth a check up with your vet. It should go without saying, keep your garden and surrounding areas as free as possible from dog mess and if you are subject to fox visits, clear those droppings too. Lungworm is not new but there has been an increase in cases in recent years and with the abundance of slugs and snails around, that's a trend that could continue. So if in doubt, get your dog checked and make sure they're up to date with all their vaccinations.